Havana Beach Resort offers unmatched comfort at the beach front of Thong Nai Pan Yai Beach, Koh Phangan‘s remarkable beach where the breath taking beauty lies. The resort offers spectacular views of the beach, the bay, and the mountain ranges in the backdrop to offer a unique experience. The crystal clear ocean and fine white sands add on to the charm of the resort. Guests will enjoy a peaceful retreat for a romantic holiday or a family getaway. Transportation Guests can take Flights or buses from Bangkok to either Samui or Surat Thani followed by Ferry to the Pier. Guests are met at the pier for a Bath 200 transfer to Havana Beach Resort by either Hotel Transfer or local Taxi which requires minimum 4 Pax or Rent Private Taxi at Baht 800 Distance from the pier to the hotel is approximately 15 Kilometers taking you through the jungle and steep half dirt road for about 40 minutes promising you an adventurous and unforgettable ride. 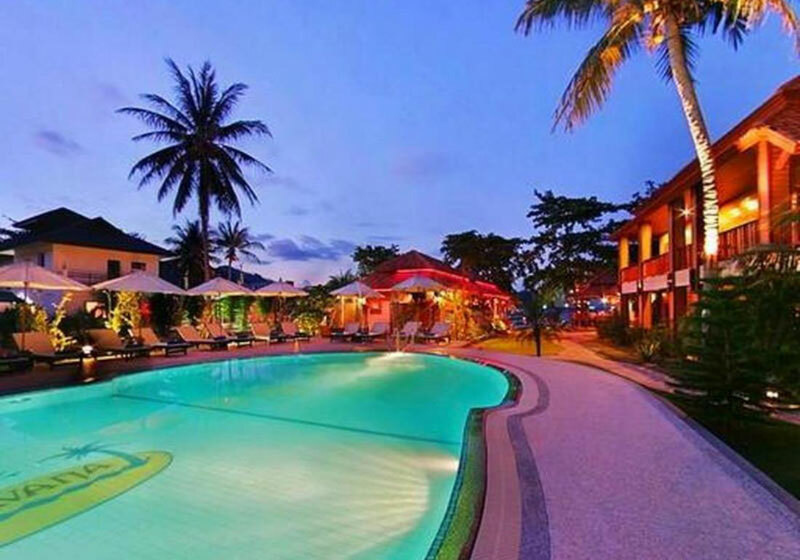 Short Description: Havana Beach Resort offers unmatched comfort at the beach front of Thong Nai Pan Yai Beach, Koh Phangan's remarkable beach where the breath taking beauty lies. The resort offers spectacular views of the beach, the bay, and the mountain ranges in the backdrop to offer a unique experience.